Senior negotiators of the US (Lighthizer) and China (Liu He) have been meeting in Washington this past week (Jan. 30-31) as the US-China trade war approaches a climax. China continues publicly to offer concessions to the US on market access to China, US corporate and bank majority ownership of China companies, and China resumption of purchases of US farm and other goods. Meanwhile, the US continues to assume a hard line on China technology development, going after China companies and arranging US allies to do the same. The US also began proceedings to extradite from Canada the co-chairperson of the giant China tech company, Huawei. But news of what’s been agreed to or not thus far in negotiations has been tightly controlled, apart from Trump tweets and typical hyperbole that discussions have been ‘great’. No meeting has been scheduled yet between Trump and China president, Xi–which would be the true indicator that a tentative agreement has been reached. 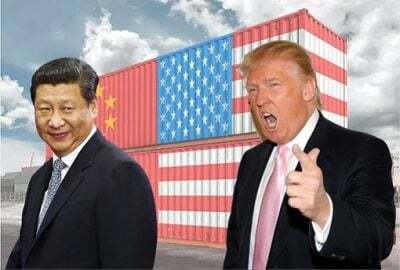 Reportedly, negotiators will continue at a high level mid-February in Beijing, and US trade ambassador, Lighthizer, has announced he will travel to China to continue discussions.